Christian Joppke holds a chair in sociology at the University of Bern. 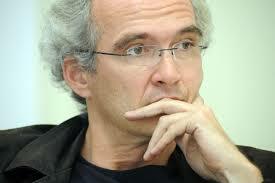 He is also a Visiting Professor in the Nationalism Studies Program at Central European University, Budapest. His most recent book, Is Multiculturalism Dead? Crisis and Persistence in the Constitutional State, will appear in 2016. Liav Orgad (2015) has written an admirably sensitive and learned book about besieged “majorities” in a world of global mobility and flux, especially that consisting of or conditioned by people moving across borders. It opens up an entirely new, dearly needed conversation on whether we need the concept of “majority”, which hitherto has remained legally and normatively uncharted. But is there really a case for a “liberal theory of majority rights”, analogous to a liberal theory of minority rights, both wishing to protect “personal identity and personal autonomy” (lead text, in the following “lt”)? Orgad has the right instinct that the care of the majority should not be left to the populist right but taken serious by liberals and the political mainstream. But the notion of a “distinctive cultural majority” (lt), which he presents as “the inevitable outcome of multiculturalism”, rests on an unreconstructed notion of multiculturalism; and at close inspection, much as the case for liberal minority rights, the case for distinct majority rights dissolves into a case for universal individual rights that liberal state constitutions already provide.